The vast majority of the scam sportsbooks profiles online are fiat-based sportsbooks meaning, they accept traditional currencies, such as the US Dollar, Pound Sterling, or Euro. In the past several years, the proliferation of the crypto currency Bitcoin has emerged as an alternative to traditional online betting options. However, there is a glaring absence of watchdog sites reporting on rogue operators in the Bitcoin industry. Bitcoin is an apt fit for online sports betting markets and may be the wave of the future, but the virtual currency doesn’t come without its disadvantages. While many offshore veterans have begun to open Bitcoin sportsbooks or accept the currency, there are plenty of scammers that have descended on the BTC betting industry. Due to the nature of Bitcoin, bettors know little about the management teams behind many BTC gambling sites. This is a two-way street, however, as bettors can wager anonymously as well. This has bettors and bookmakers alike flocking to this alternative to fiat-based sites. StakeBTC is a cautionary tale in an emerging industry and one that will no doubt happen again. Their promises to players should have thrown up an obvious red-flag from the beginning. Unfortunately, they managed to ripoff customers for a large chunk of change, despite operating for just under a month. While there are some established BTC sportsbooks, the market is relatively new compared with fiat-based online shops, which have been around for 20 years. Bitcoin sports betting is much more open for market share and gamblers are eager to try up and coming sportsbooks. The Bitcoin Talk forum is usually the place that BTC linesmakers choose to promote their site to the community for the first time. The forum is the largest of its kind on all things relating to bitcoins, including a particularly large gambling forum. Most operators hype up their new sportsbooks in this forum, and StakeBTC.com was no exception. In their first Bitcointalk post, dated January 18th, 2014 offers an excellent outlook on the new shop. Management boasts about “instant deposit and withdrawals” and their “extraordinary customer service” via live chat. Yeah, we get it, you guys are going to revolutionize BTC sports betting. Though behind the endless hype, there were a few notable things mentioned in the post that should have been an immediate red flag to prospective customers. For one, they accept a relatively high betting limit for a new Bitcoin book, upwards up $2,000 on sides and totals, the equivalent of about 4-5 BTC at the time. They even mention this wagering limit can be exceeded if players communicate with live chat. However, more concerning is their assertion they won’t limit bettors who are beating them for big money. As we’ve mentioned in previous articles, limiting and banning bettors who are beating a shop for large amounts is vital to running a thriving sportsbook, even though it may be frowned on by the players. Their insistence that they will never limit players should not be seen as a sign that the book is reputable and trustworthy, but just the opposite. Less than a month after opening, StakeBTC closed their doors. SBR quoted the most likely reason being insolvency due to a disputed withdrawal of 15 BTC. Much of SBR’s report on the sportsbook centered on the same thread that we mentioned above. Their most notable controversy centered on a 15 BTC withdrawal request. The player inquired about his late payout, and tried to find out what the issue was through StakeBTC’s live chat. When the live support was not available, the player posted on StakeBTC’s Bitcointalk.org thread inquiring about the payout. What happened next was highly unusual. StakeBTC then posts 45 minutes later that the player’s entire sportsbook balance of 45 BTC had been wagered on three underdog moneylines in their college basketball markets. The player immediately disputed these claims and posted a screenshot of his withdrawal request. StakeBTC then told the player that he was lying to the forum and allowed the wagers to stand, even after continued protest from the player and scolding from other forum members. Management at StakeBTC replied that the player’s IP addresses matched his wagering activity, but did not elaborate or submit evidence. They also contradicted themselves with the bettor’s supposed wagering patterns. Another Bitcointalk post offers more insight to the situation and StakeBTC’s ridiculous promotions that likely did them in as an online bookmaker. The sportsbook was offering a 100% bonus with just a 3x rollover. Risky and likely not sustainable, they then offered the same bonus with just 2x the rollover. This is suicide for any shop. On top of that, there was free juice wagering on specific markets and a 10% rebate on winning bets. While this may just have been a naive mistake by management, I suspect they had more sinister intentions. These kind of offers are among the most obvious scam warning signs and books who promote them should be avoided. Soon after the payout complaint was filed at Bitcointalk, the StakeBTC webpage went barren and then disappeared from the web completely, taking players’ bitcoins with them. Was StakeBTC a glorified ponzi scheme from the start? Well, it was either an absolute scam outfit from the get-go or one of the worst managed sportsbooks of all time. I’m going to go with the former. The situation at StakeBTC is a good reflection of the current reality for those looking to bet bitcoins with newer operators. 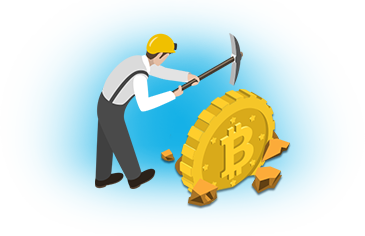 There are plenty of solid BTC online bookies, but players need to do their research before depositing. We know that they stole at least, 45 BTC from one player, which amounts to about $22.5k at the current Bitcoin price. The price has fluctuated over the past six months but has stayed between $400-$600. That amount is just from one player. There’s no telling the amount they stiffed players in full. Bitcoin sports betting offers players anonymity like never before, but the operators are also shrouded in secrecy. This isn’t optimal for unregulated sports betting markets, and encourages the type of fly-by-night sportsbooks that the entire industry despises. As BTC sports betting becomes more mainstream, crooks like the guys behind StakeBTC will be easier to identify. If StakeBTC.com comes back online, it’s an obvious avoid for bettors. Also, if the outfit is somehow found to be connected to another BTC gambling site, steer clear.